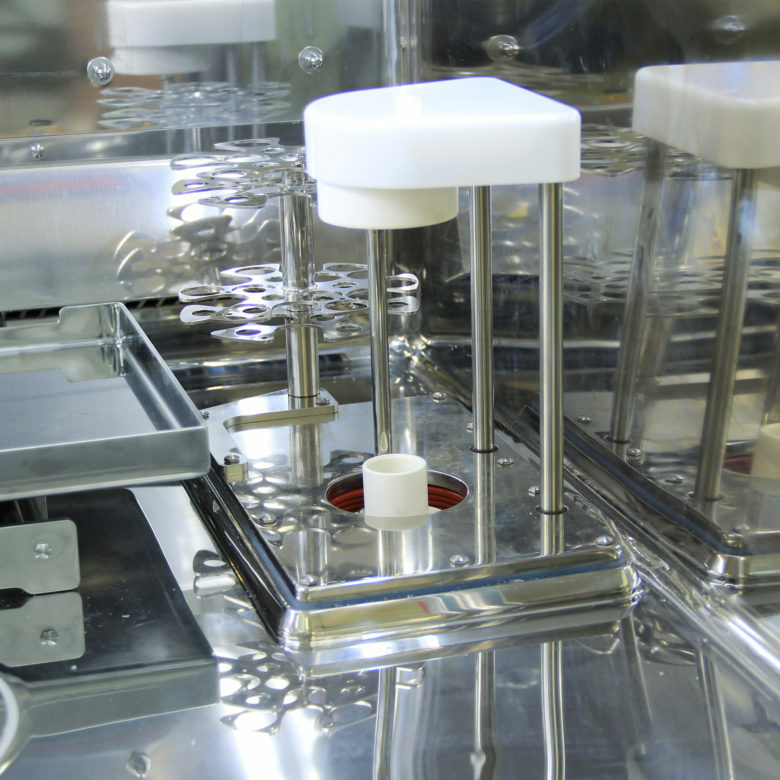 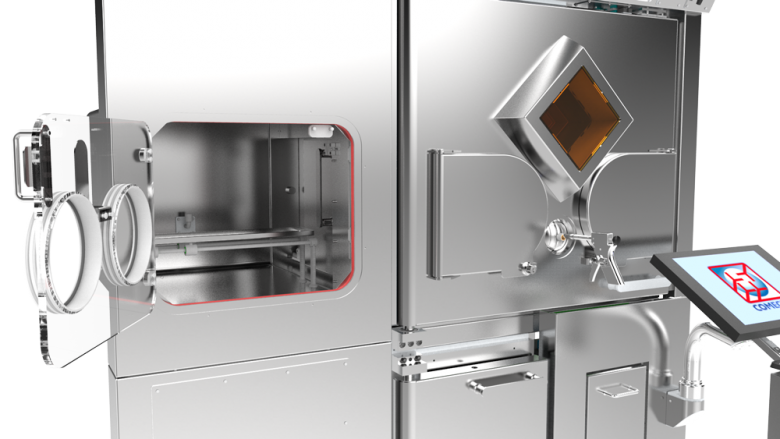 PHAEDRA is a radiopharmaceutical dispensing isolator fitted with class A chamber. 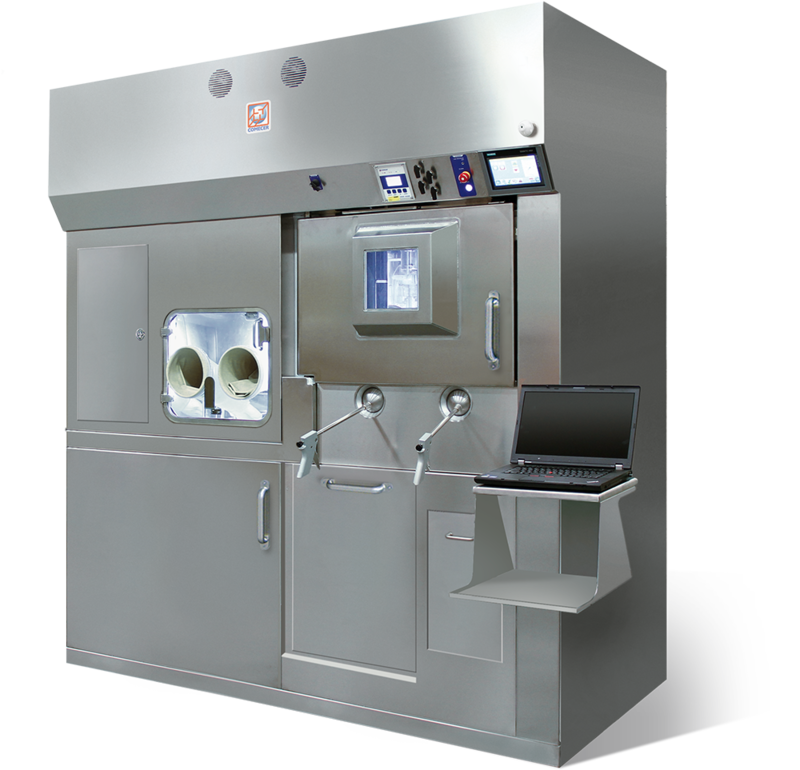 The front door is equipped with tele-pliers and doors through which the radiopharmaceutical may be handled directly. 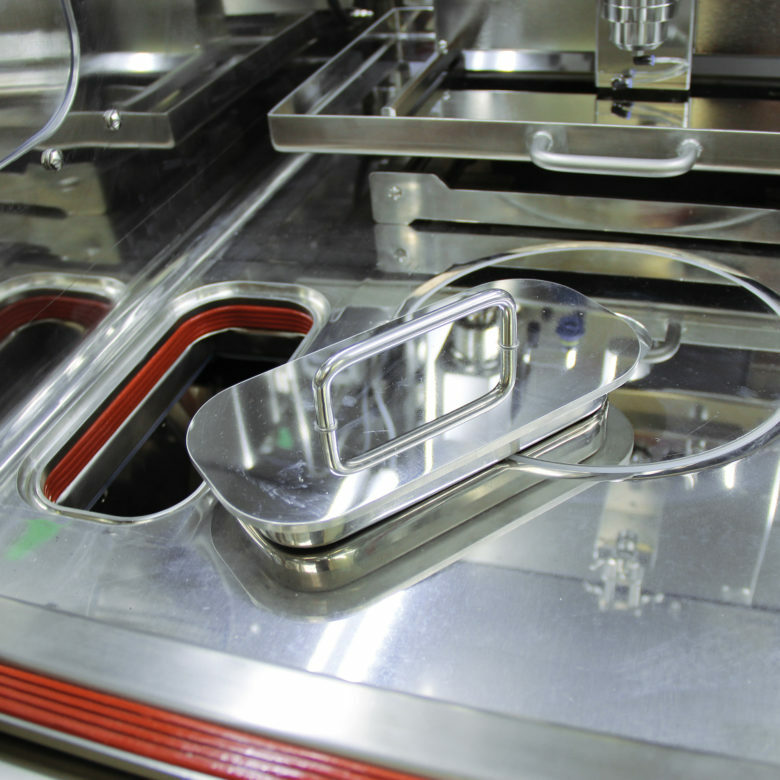 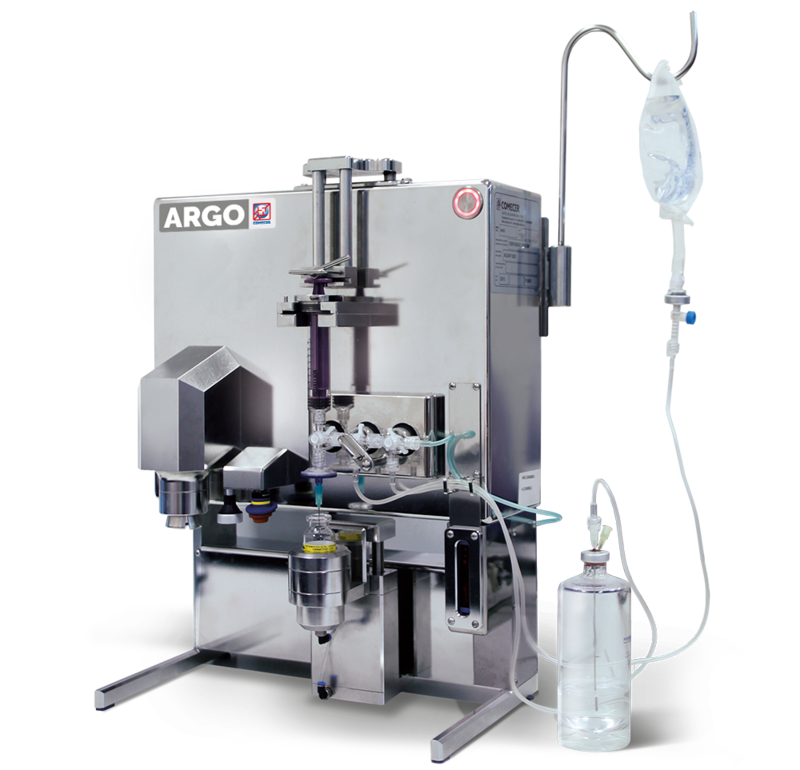 The 75 mm lead shielding makes it suitable for dispensing high activity PET emitters, mainly managed with the tele-pliers, while the hand door makes it possible to act quickly inside the aseptic chamber during consumable removal, cleaning and preparation of the new batch, assuring a continuous production process (back-to-back) with no need to open the front shielded door. 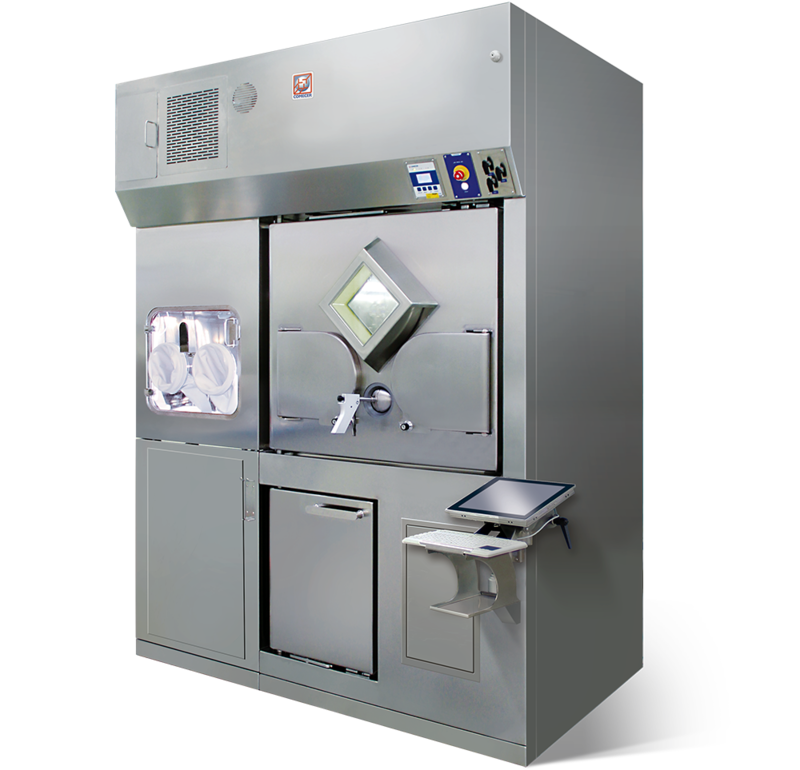 This approach enhances operative speed while preserving operator exposure. 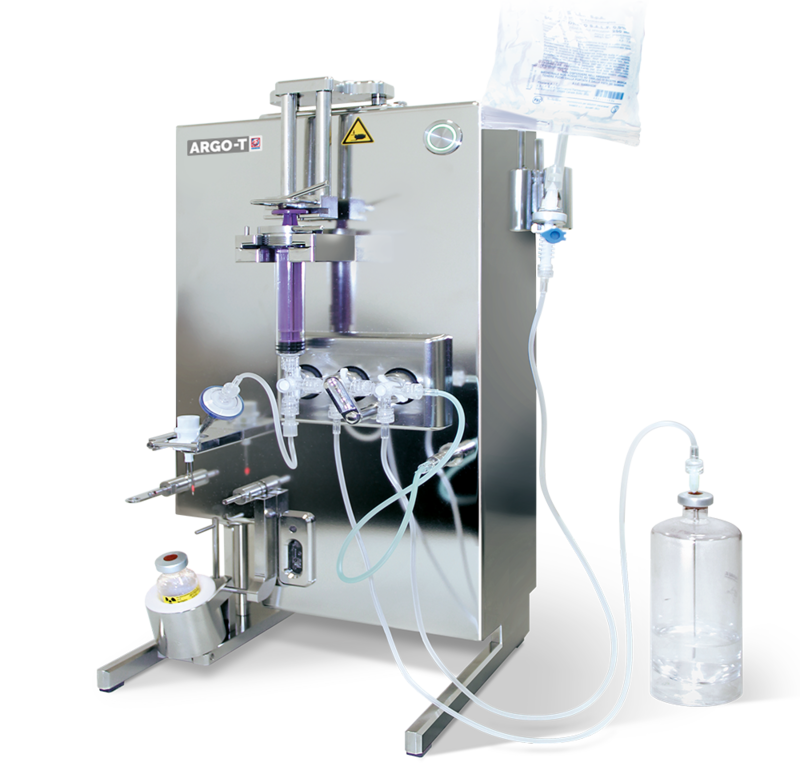 cells based on manipulation with the aid of the tele-pliers: these ensure complete radioprotection, but they often remain in a side position where they are unable to reach many of the work areas of the aseptic chamber. 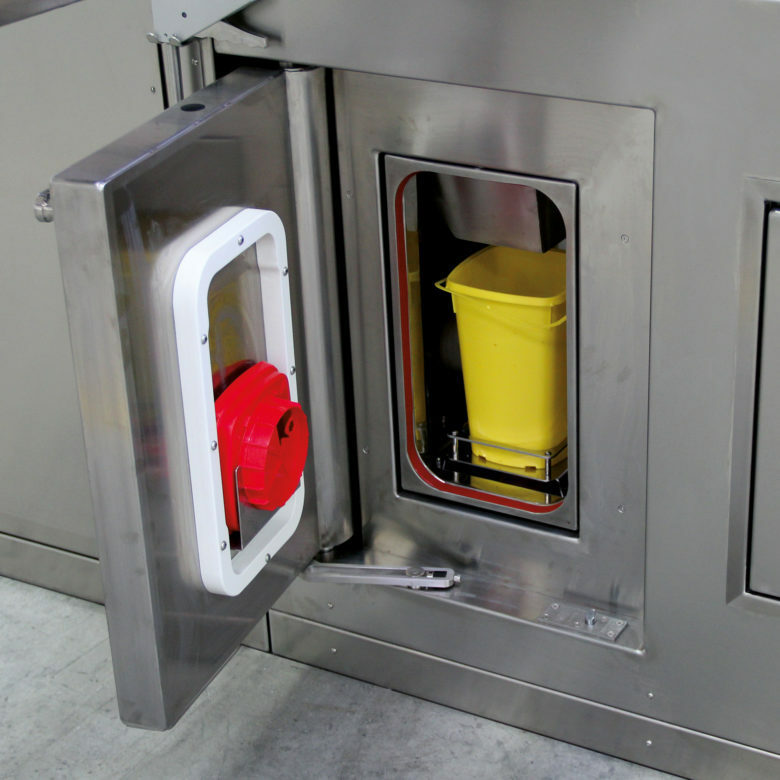 Furthermore, the tele-pliers are unable to cover the areas close to the front access door due to necessary constructive constraints. 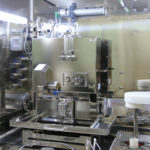 cells based on manipulation through hand doors: on the contrary, these are placed at the front and make it possible to cover a very wide area, but limit access to the furthermost part from the cell due to constraints of the gloves and human physiognomy. The combination of these two worlds has been achieved in the Phaedra thanks to the presence of the tele-pliers in a central position with respect to the hand doors. 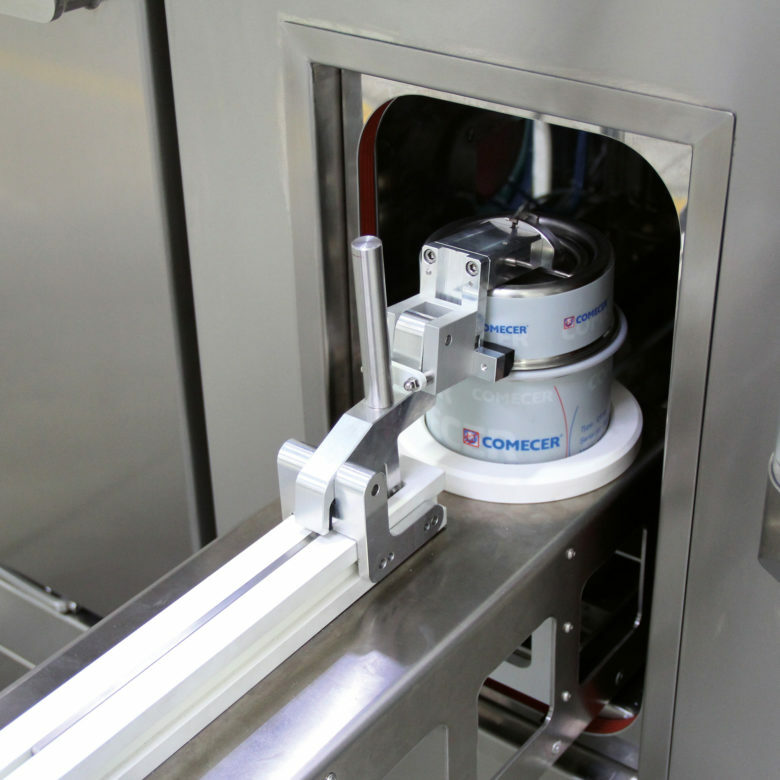 Positioning the tele-pliers in the central point of the cell is only possible because of the introduction of the QuickFix system on Comecer tele-pliers. 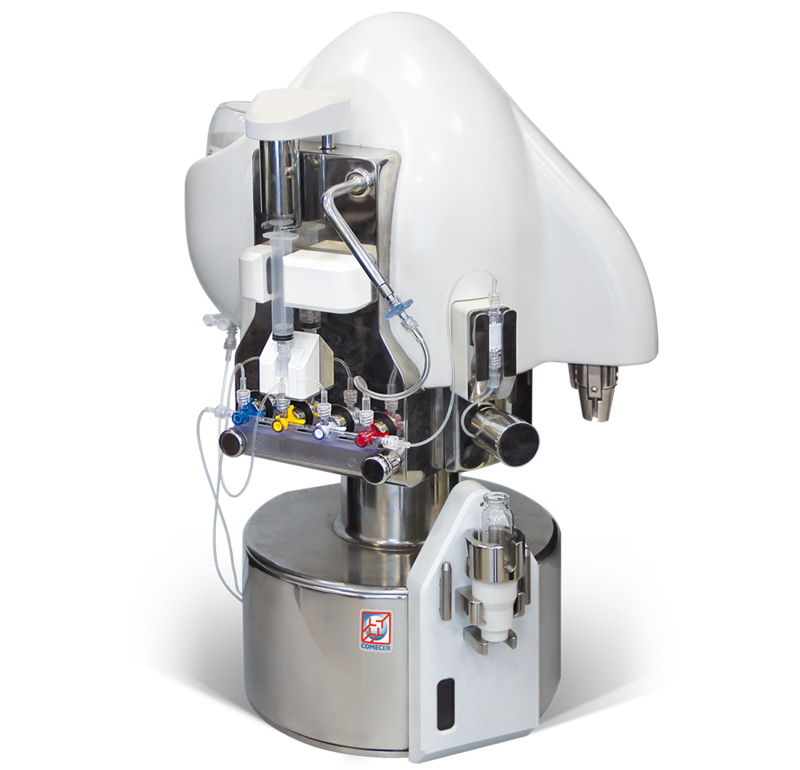 This system makes it possible to release the rod of the tele-pliers without losing chamber tightness and with no need for complex operations on mechanical parts. 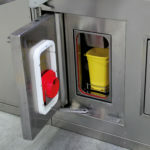 Thanks to this system the rod of the tele-pliers may be removed easily and therefore allows access to the hand doors without having the control bar in an inconvenient position. Furthermore, the tele-pliers’ disconnection allows opening the front shielded door without losing tightness and being able to work with the gloves while maintaining the chamber classified and in aseptic condition. 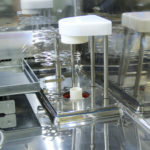 the possibility to integrate label printing systems (E-LABEL) in the vial unload system, supporting a GMP approach that entails printing the label downstream of the production process and not prior to filling. 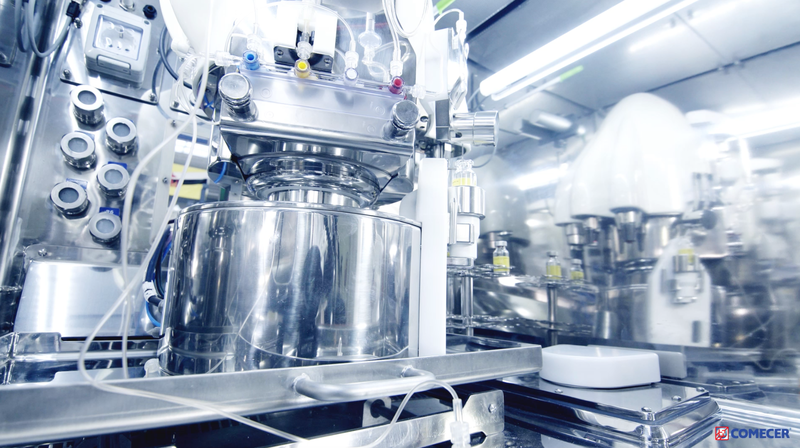 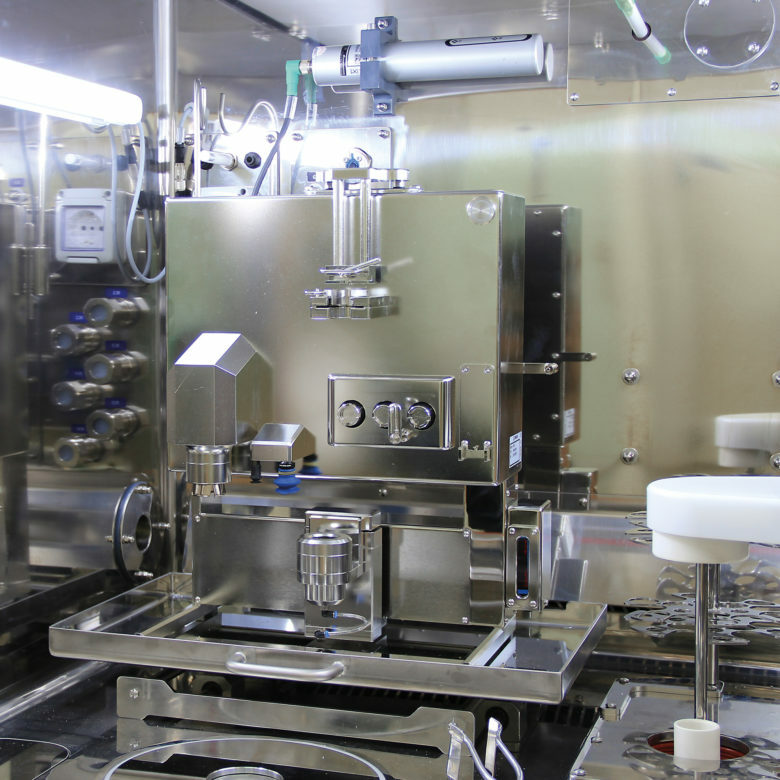 In conclusion, the combination of the above factors makes Phaedra a unique product in the field of nuclear medicine and radiopharmaceuticals, as it ensures a compact and streamlined solution addressing the growing need for operative flexibility during dispensing of radiopharmaceuticals.